You may simply place your order online in the Bully Max Order Section without signing into an account. During the checkout process you will have the option to purchase as a guest or create an account. 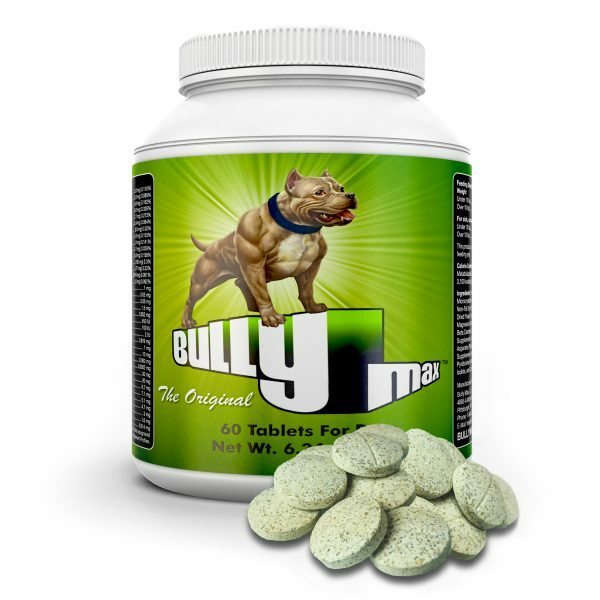 Bully Max is an all natural muscle building supplement for dogs. It comes in chewable flavored tablets. You feed it to your dog just like a treat. Dogs love the taste. What are the side effects of using Bully Max? Are there any? 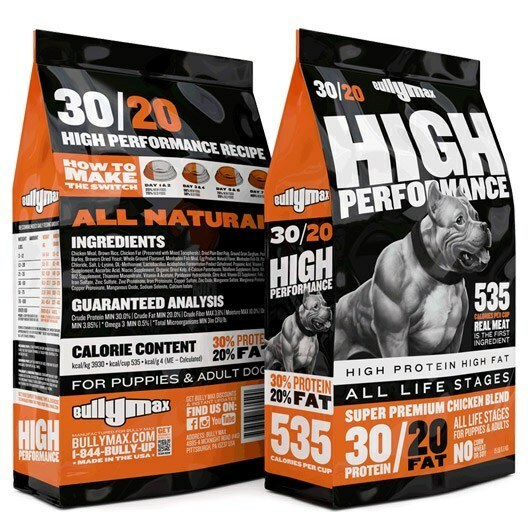 Bully Max is a Veterinarian Designed product and is 100% safe for all breeds of dogs and has NO side effects. 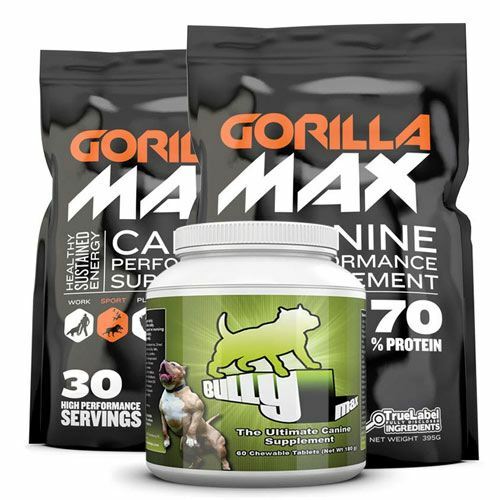 How do you feed Gorilla Max to your dog? Gorilla Max may be mixed canned food or plain yogurt. You can also mix Gorilla Max with a small amount of water and pour it over dry food. Is Bully Max safe for puppies? Yes, Bully Max is safe for all breeds of dogs ages 7 Weeks of age or older. Is Bully Max safe? Is Bully Max good for my pit bull or dog? Yes, Bully Max is completely safe for your dog. It is veterinarian formulated and meets all AAFCO standards. It will only have a positive effect on your dog’s health and lifespan. Can I use Gorilla Max and Bully Max at the same time? Yes, Bully Max is completely compatible with Gorilla Max and you may use both at the same time. What is the difference between Bully Max and Gorilla Max? While both products are designed for essentially the same purpose, Gorilla Max is the more potent form of the two. While you will receive the same results with both products, Gorilla Max will show results faster. Results are typically seen within 2-3 weeks. What types of exercise do you recommend? For best results we recommend a spring pole set up. Other exercises that work very well include the flirt pole and weight pulling. You can get more information on all of these exercises in this post. How long is the shelf life of Bully Max? / When does Bully Max Expire? Bully Max has a 3 year shelf life from the time of purchase. Our product is manufactured on an average of every 2 weeks to ensure the longest shelf-life, as well as to deliver the freshest product possible.